IMPIANA Hotel Ipoh is pulling no stops when it comes to its Christmas Eve and Christmas Day set dinner. Under its new executive chef S. Saravanan, the team has come up with a five-course dinner set to tantalise the taste buds of diners who choose to have a yuletide meal at the hotels fine dining restaurant The Bistro. 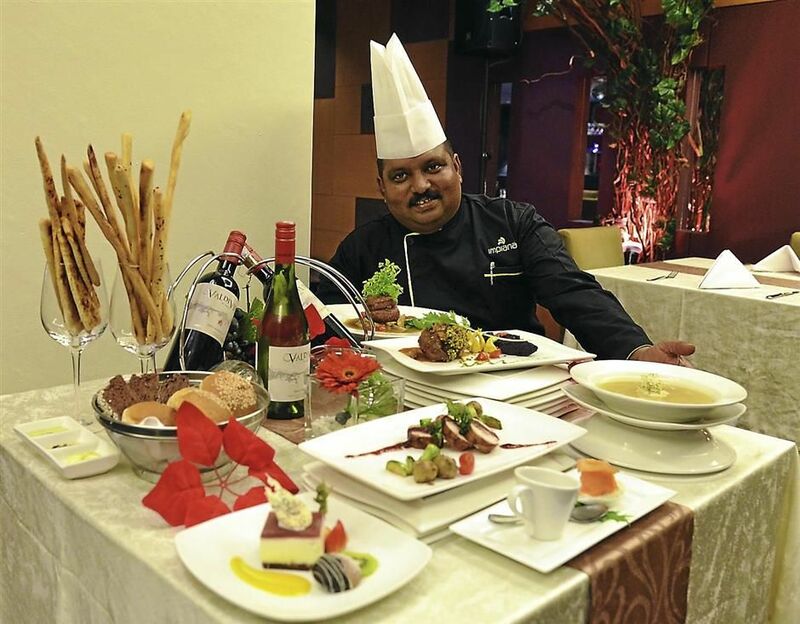 Saravanan, who just started at Impiana Hotel Ipoh since last Thursday, said the entire menu was planned to provide a Christmas-themed meal for diners, with old favourites such as roast turkey and new dishes for a burst of flavour and variety. Diners are first served with the hotels signature bread basket, an assorted selection of breadsticks, buns and rye bread that is baked in-house to ensure maximum freshness and quality. An amuse-bouche, consisting of tapenade cauliflower and hazelnuts wrapped in smoked salmon, is then served to start off the course, the slightly spicy tapenade proving a perfect match with a slice of juicy salmon. This is then followed by an entrée of thinly sliced shitake mushrooms and hazelnuts dressed in coffee and sabayon served in a quaint little cup. light, savoury soup with crabmeat and scallops. For the mains, diners are spoilt for choice as they get to choose from turkey roulade served with cranberry sauce and puree, grilled beef tenderloin laced with garlic wasabi or pan seared rack of lamb with a light lychee sauce. for a refreshing zest to the sweet, rich trifle. The Bistros classy and relaxing ambiance provides a perfect atmosphere to enjoy the dinner while a four-piece band is set to entertain diners on Christmas Eve and Christmas. The hotel staff will even add Christmas joy to the air through carolling sessions at 7.30pm daily until the holiday. All this can be enjoyed for RM220 nett per couple, inclusive of a bottle of wine to complement the meal. Reservations can be made at the hotels Festive Desk at The Deli or through phone at 05-255 4364.